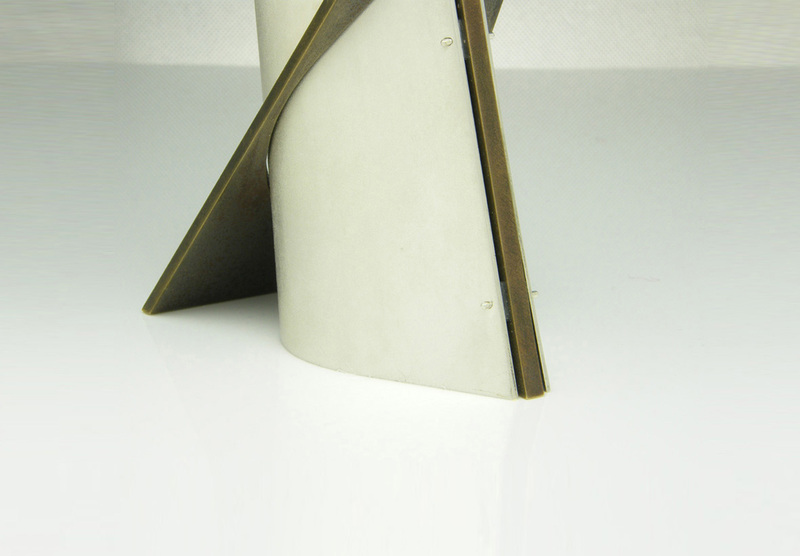 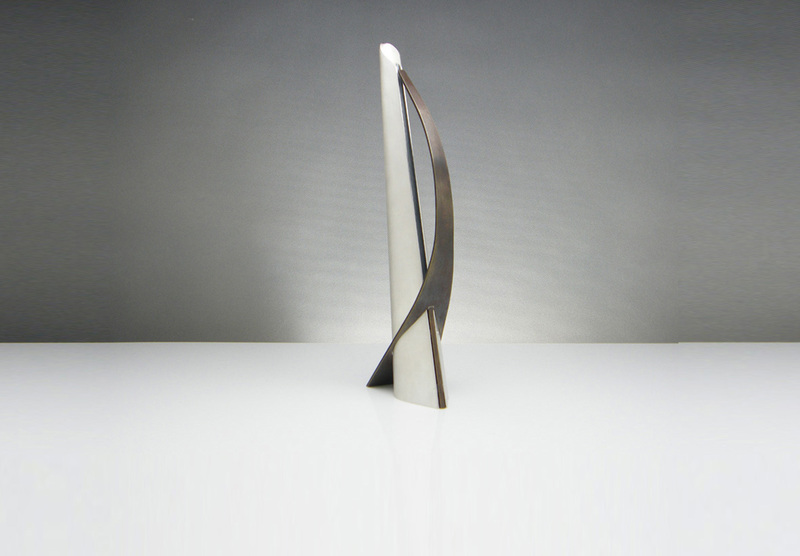 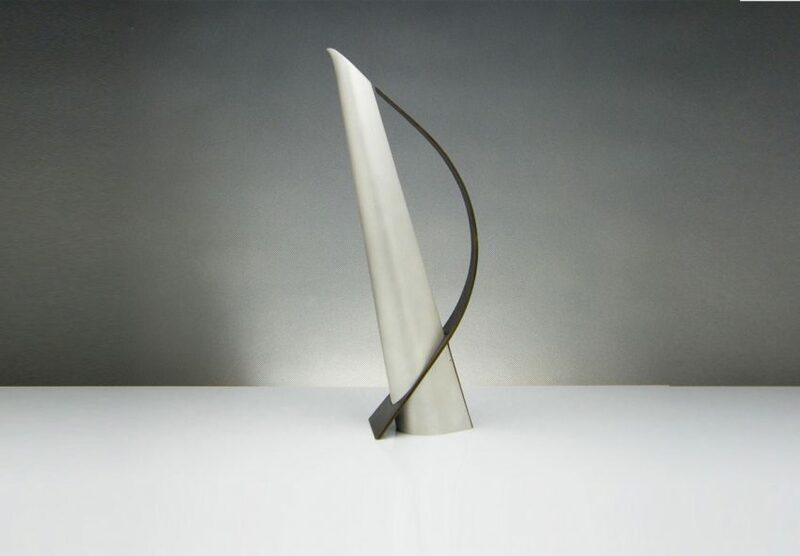 A functional table sculpture with a dynamically dangerous inclination. 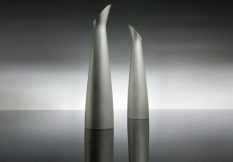 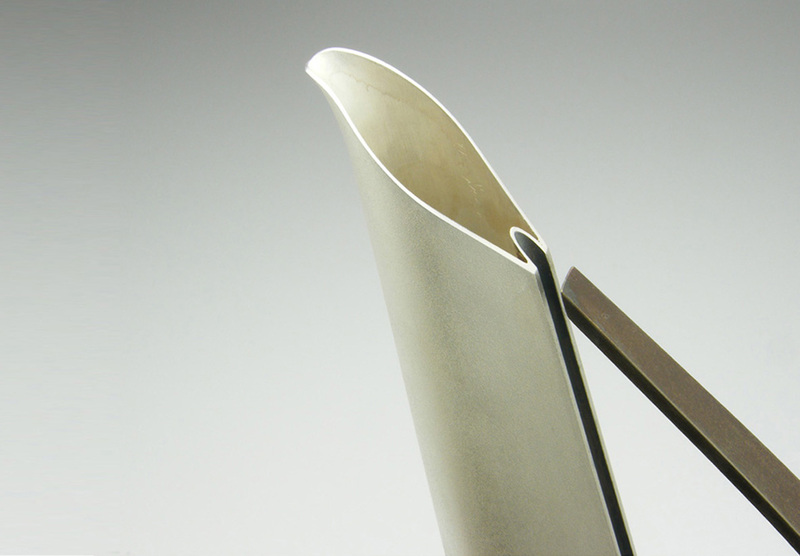 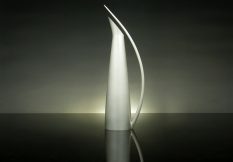 Made in sterling silver and patinated brass the dramatic contrast of light and dark as the body pierces the handle is echoed by the dark line of the spine of the vessel. 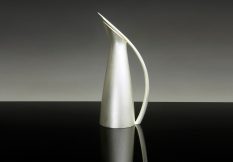 The white silk finish of the jug is finger print resistant and easy to care for, as is the hand coloured brass handle.